Well guys this is our last NYRA meet for the 2006 season. So this will be the meets to attend of all meets. By popular demand we have selected FMP, the parking lot across the lake. Everyone loved this spots. Everyone is closer to there cars, less people and we have a 1/8th strip. 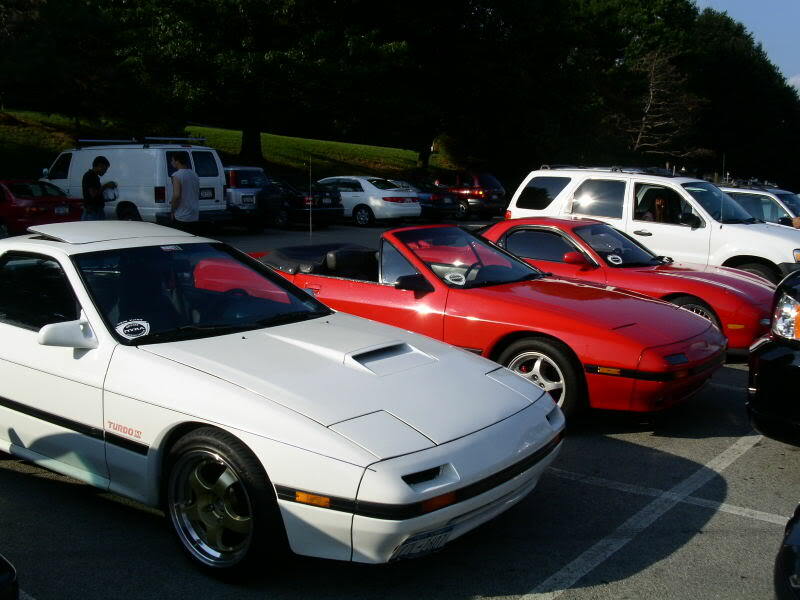 The meet will be bigger than the last one we held there and had 44 Rotarys come. 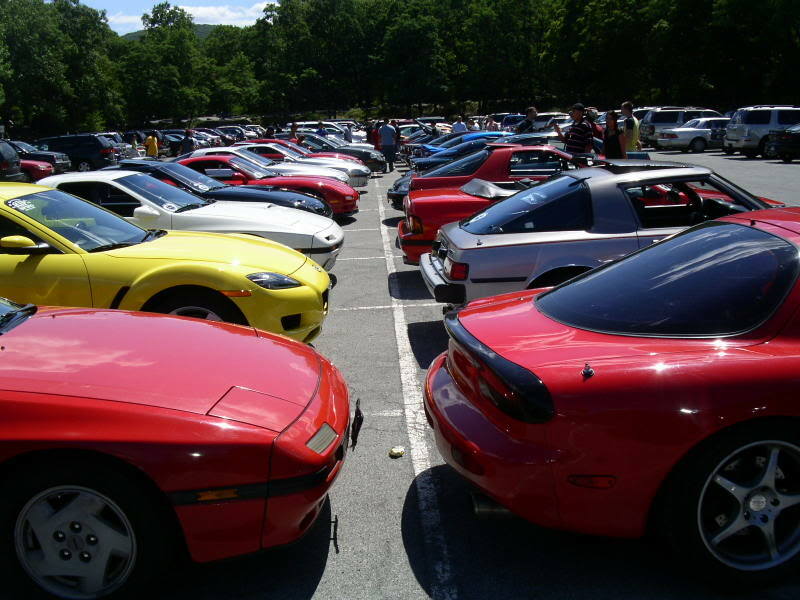 This time we will have more RX-8's, and upstate rotarys. Eastern Long Island or Brooklyn). Pre meet is at 11:00am sharp. DIRECTION TO THE PRE-MEET LOCATION! 2. Make a right turn on Northern BLVD (You will see a gas station). 3. Continue EAST on Route 25a (Northern BLVD) till 108th street. 4. Make a left on 108th Street and continue till you hit ASTORIA BLVD. From NJ (Queens Boro Bridge). 1. Continue EAST on Route 25a (Northern BLVD) till 108th street. 2. 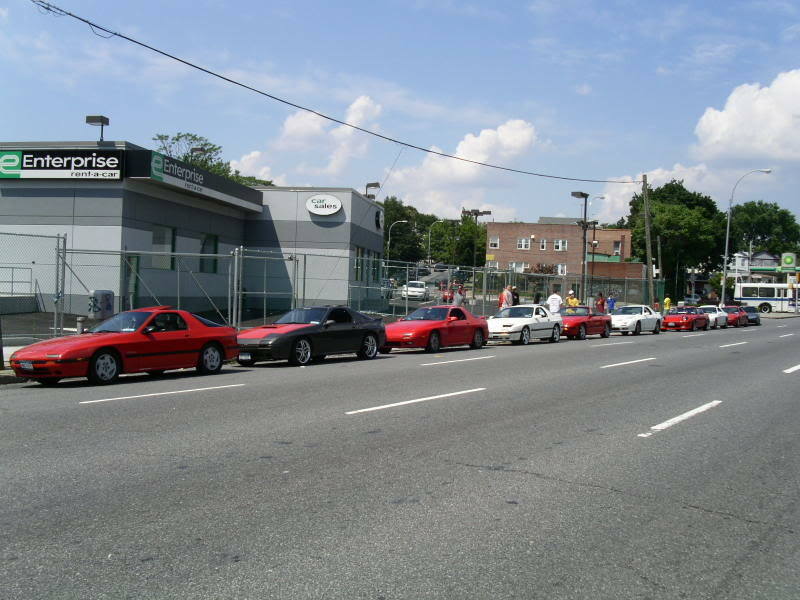 Make a left on 108th Street and continue till you hit ASTORIA BLVD. 2. Continue East bound till you pass 108th street (BP Gas station). From the Boogie down BRONX (Triboro). 2. Stay on Grand Central Parkway. 3. Get out on Astoria BLVD exit, this will leave you by 82nd Street. From the Boogie down BRONX (Whitestone Bridge / Upstate). 1. Follow Signs for Whitestone expressway. * IF you want to meet up with us at the PRE MEET , Continue to step 3. 3. Stay to the right of the fork and follow signs for Astoria BLVD. ONce you get out drive to 108th street. 2. Stay on left side of the Divider, get out on NORTHERN BLVD. 4. Make a right on Astoria BLVD. 1. Jackie Rob or Belt to Van wyck NorthBound. 2. Get on white stone expressway going west. 3. Get out on Astoria BLVD , make u turn on 108th street. YAH BUT then school gets more hektic and stuff like that. But i think ima do one more at bear mountain in upstate ny. Date will be coming shortly.